Okay, I can see where this is coming from - Instagram's seen massive growth in the last couple of years, doubling their active user base from 200 million to 400 million, overtaking Twitter in the process. Instagram's focus is on lush, beautiful images, on capturing beautiful moments in time and sharing them for all the world to see. It's become a source of daily escape for an increasing amount of users, an opportunity to take in the detail of the world, the little things we take for granted. Instagram inspires introspection, it's a network that links together art as much as it does people. So I see it, I can see why people are so attached to it, how the platform can occupy a special place in your heart. But would you name your child after an Instagram filter? Turns out, a lot of people are doing just that - BabyCenter.com has today revealed its list of the most popular baby names for 2015 and among them are several titles that might sound familiar to regular users of the Facebook-owned, image sharing network. While the overall listing of popular baby names is pretty uneventful in itself - Sophia, Emma and Olivia are the top three for girls, Jackson, Aiden and Liam for boys - it's in the 'Hottest Baby Name Trends' section where the Instagram filter labels start showing up. 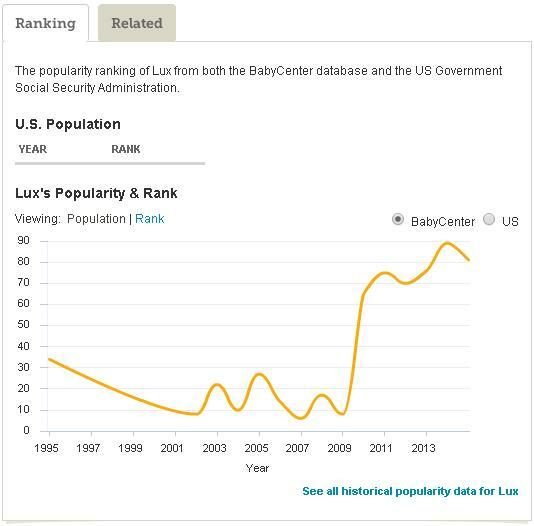 Under the headline '#Instagrambabies', BabyCenter has listed data which shows that the names Lux, Juno, Reyes, Ludwig, Amaro, Valencia and Willow are all rising in use. Wow, huh? Of course, all of those words existed before Instagram, it's not definitively Instagram's presence that's lead to their popularity. But then again, it probably is. "The Instagram-inspired name Lux is up 75% on our list of baby boy names, and it's slightly up on our list of baby girl names too. (Though technically not a filter, the photo-editing tool balances exposure, adds brightness, and makes images pop.)" I did appreciate the technical ruling in there. On the others, 'Ludwig' was up 42% in boys names, 'Amaro' was up 26%, while 'Reves' (10%), 'Hudson' (4%) and 'Kelvin' (3%) all saw increases. For girls, 'Juno' rose 30%, 'Valencia' went up 26% and 'Willow' jumped 13%. 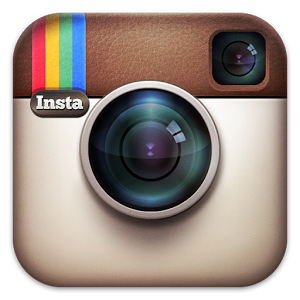 "Not every Instagram name is booming, however," notes BabyCenter. "Sierra, Waldon and Lark all lost ground. And some filters didn't even show up in our baby names database (yet)." The findings once again underline the profound influence social media is having on our day-to-day lives, and how our online experiences are bleeding more and more into our offline realities. And while naming your child after an Instagram filter might seem to be at the extreme end of that spectrum, maybe, to the next generation, it's not at all. Maybe naming your kid after your favorite functionality, with which you've emotionally connected and aligned to, makes perfect sense, as those actions have had a significant impact on your development as a person and in defining who you are. In this respect, I really look forward to the kids being named after Snapchat Lenses - the titles of which, thus far, have included 'Rainbow Vomit', 'Heart Eyes' and 'Flaming Skull'. Okay, that's obviously taking it too far, and I can honestly see where people are coming from on this. Kind of. And the reality is that trends are trends, they're not right or wrong. They just are. Whether you like it or not, whether you accept it or not, that's really up to you. What do you think - would you name your child after your favourite Instagram filter?